X-cart is shopping cart web server software that integrates with e-commerce websites that use PHP scripting and SQL database for managing the presentation and checkout process for products offered to customers. If you are looking for the best shopping cart webhosting solution for your e-commerce website, then our fully managed X-cart hosting service is the right webhosting service product for you. Our comprehensive managed webhosting package is designed to provide you with premium support and performance that guarantees customer satisfaction at the best price in the market. The managed X-cart hosting service will provide free installation of X-cart on your website for either the free edition or the premium version of X-cart software. 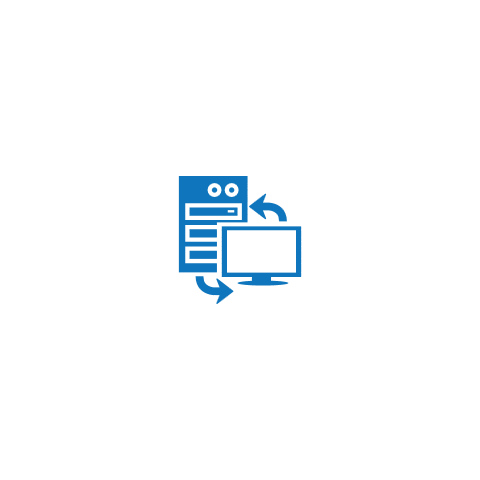 Our managed X-cart webhosting service will provide free migration incorporating real expert support alongside script automation to transfer your website from other servers to ours. With our X-cart webhosting package, you will get a large number of X-cart templates and modules to choose from with easy 1-click install options for customizing your e-commerce website. With our managed X-cart hosting service, no prior programming experience is required as we offer free developer support for customizing your X-cart source code to your website. The support services with the managed X-cart webhosting will provide technical guidance on PHP and MySQL programming issues, as well as timely support in solving any error messages in the event that your site is not loading. The X-cart hosting service incorporates advanced marketing tools designed to integrate seamlessly with different payment systems and to provide easy order and inventory management, effective user and information management, and a comfortable shopping experience for your customers. The premium version of the X-cart software provided with our managed webhosting plan comes with a customizable user interface with layouts and page designs that provide multiple views of the product, easy entry of personal details and shipping address information, and viewing and managing transaction documentation. Our X-cart hosting service comes with complementary management and optimization of VPS and dedicated servers configured to support X-cart even on busy e-commerce websites. We have experts on standby 24/7 monitoring our servers, data centers and network to guarantee satisfactory uptime, and fast processing and transfer speeds. With our managed X-cart webhosting, you get the option to upgrade your server hardware seamlessly as the needs of your e-commerce business grow. The managed X-cart hosting is dedicated to ensuring tight server security for your ecommerce site by conducting a weekly scan for security threats, and providing cutting-edge anti-spam and XSS security solutions to safeguard your data and network. The managed hosting service will provide free weekly backups of your website for safeguarding your information. With the managed X-cart hosting service by our company, you will get prompt and efficient technical support. The managed X-cart hosting gives you an unlimited ticket for chat and phone, help desk support with fast response time to ensure your web administration and hosting issues are resolved quickly. Our amazing team of experts will provide technical support to match the scale of your business needs.